The essence of Indian festivities and celebrations lies in the festival awaited by Indians throughout the year – the festival of lights – Diwali. Right from your taste buds to your body begins to rejoice and crave for the festive treats and just wait eagerly for you to give-in. 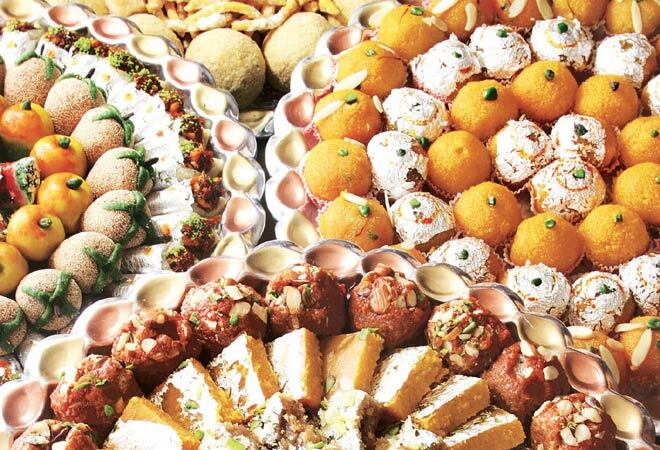 Since sweets have defined traditional Indian festivals since years, indulging in sweets and desserts is only natural for the biggest Indian festival – Diwali. But with diabetes engulfing the country at a rapid rate, the diabetics although are increasingly careful about their diabetic diet, they are equally worried about their sugar intake during Diwali. Let us explore what can constitute to a healthy diet for diabetes which does not dampen the festive spirit and also appeals to the cravings of your taste buds. Don’t forget you have to accommodate desserts too. Limiting your carb intake will ensure you feel light and can try the dessert in moderation. Although it is best to go for an equally healthy and sugar-free dessert, but even if it is not possible, limiting your portion of the same will do the trick. Whatever you eat and however much you enjoy, burning it all is essential to keep your calorie intake and blood glucose levels in check. The heavy foods during Diwali tend to lower your energy levels and keeping well hydrated is the key to flushing out toxins accumulated due to irregular eating and remain at your fitness best. No, we are not asking you to celebrate Holi and Diwali together, certainly not. But what we recommend as part of the healthiest diet for diabetic patient is the generous portions of non-starchy vegetables and high fiber fruits. All these make for a filling nutritious meal and have little impact on blood glucose levels. Diwali rush and your busy schedule can easily make you forget keeping a track of your blood glucose levels. You can do the same by using a blood glucose meter, also known as a glucometer . Once you know the trend of your eating patterns you will be better able to analyse the blood glucose levels. BeatO brings for you a whole range of healthiest food choices so you never have to worry about your diabetes regime going off-track during Diwali. Choose between Multi Grain Atta, Methi Dana Atta, and Palak Atta along with various flavours of oats and other unique naturally benefiting food items like apple cider vinegar with honey and wheatgrass with Amla juice. Diet of diabetic patient just got tempting and mouth-watering.